Born in the 1860s in France, he grew up during the birth of the Greco-Roman wrestling style and the height of popularity for strongmen was fast approaching as he matured into an adult. 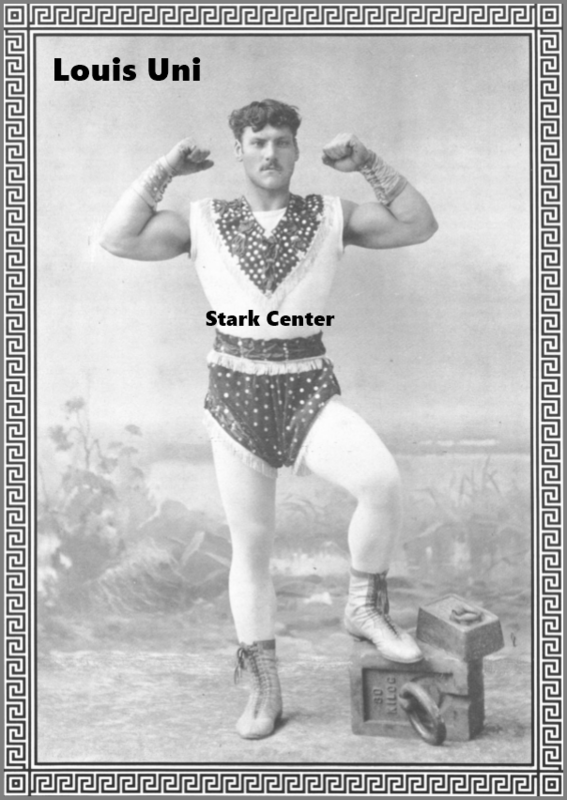 As a young teen he ran away to the circus and it's there that he most likely learned how to wrestle and also started his path as one of the pioneers of the golden age of the strongman. Once he was twenty years old, he joined the army and it's also possible that if he hadn't already had knowledge of wrestling that he could have picked it up there. William Muldoon is a notable American wrestler who claimed to have learned Greco-Roman in the French army. Upon leaving the army Louis Uni under the name of Apollon (sometimes Uni Apollon) traveled Europe performing his feats of strength from Germany to England, and anywhere else there was an interest. During his travels he also competed in wrestling tournaments and exhibitions always giving a good showing of himself, even though he was not a fully committed wrestler. The majority of his fame came from Europe, but Apollon stopped off in America during the 1890s and even competed in a "World Championship" match against Ernest Roeber. “Mare Nostrum” is the only movie he is recorded as appearing in, it's possible there were others though, strongmen often were not credited in movies. Louis "Apollon" Uni passed away on October 18, 1928. He had continued to perform feats of strength right up until the date of his death at the ripe old age of 66.